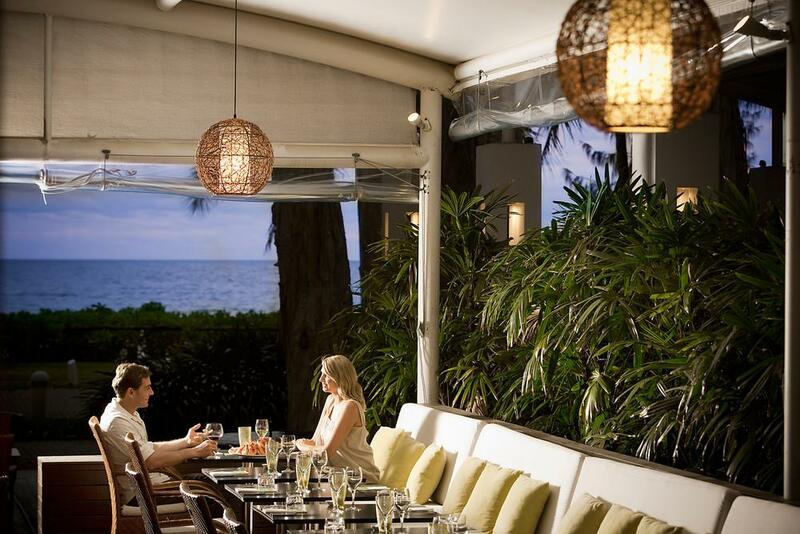 Port Douglas restaurants offer a world class lifestyle experience thanks to an amazing selection of dining options and award-winning restaurants where you're likely to see some famous faces. 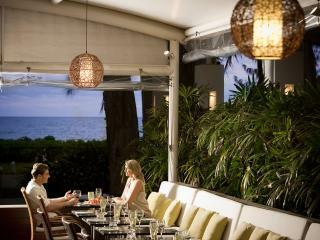 Peppered throughout the Port Douglas restaurants scene are a fun range of bars and dining venues that offer excellent atmosphere, fantastic cuisine and some amazing views of the water and sunsets. From delicious breakfasts served straight from the pan to your plate, indulgent cakes and coffees in ambient cafes, fresh light meals in a casual dining setting, scrumptious a la carte options from restaurants and grills and bountiful buffets overflowing with options, Port Douglas restaurants offer something for everyone. 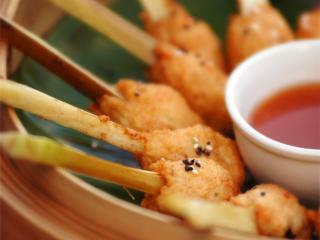 Of course if you prefer a quiet night in, a quick bite to eat or a slightly cheaper option, there are plenty of take away options in Port Douglas including Chinese, pizza, Thai, pasta and of course fish and chips. On famous Macrossan St towards the beach end, a newly built lifestyle centre is home to the spectacular Finz seafood restaurant and Zinc Restaurant, both a must dine while in Port Douglas. There is also Salsa Bar and Grill, a multi-award winning restaurant where movie stars and even President Bill Clinton himself has dined. Meridien Marina's Lure Restaurant is also an impressive venue right on the water, particularly for relaxed drinks at happy hour. If you're looking for family friendly options, Port Douglas restaurants cater for you too with earlier dining times and menus that even the fussiest kids will love. The Inlet Seafood Restaurant is extremely popular for its seafood and the unique experience of watching the giant resident groper being fed as you enjoy a drink. The Tin Shed on the waterfront is also a great option and is far more pleasant than the name suggests with a lovely waterfront location.